What is the Difference Between an LPN and an RN Salary? Do RN's Make More than LPNs? What Are the Salaries for an RN and LPN? Licensed Practical Nurses (LPN) are referred to as licensed vocational nurses (LVNs) in some states. They are trained nurses who have undergone a year of nursing education and received a certificate or diploma from a community college or hospital based school of nursing. They receive licensing by taking and passing the National Council Licensure Examination for Practical Nurses (NCLEX-PN). Registered Nurses (RN) are often referred to as professional nurses. They undergo more extensive training consisting of two or three years at a hospital based school of nursing, two years at a community college or four years at a college or university. These schools confer a diploma, associate’s degree (ADN) or bachelor’s degree (BSN), respectively. They then become licensed by passing the National Council Licensure Examination for Registered Nurses (NCLEX-RN). The education of LPNs/LVNs include courses such as Fundamentals in Nursing, Anatomy and Physiology. Obstetrics, Pediatrics, Nutrition, Pharmacology and Nurse Management. They complete clinical rotations at a variety of settings. As practicing LPNs, these nurses provide basic nursing care under the supervision of an RN or physician. LPN duties generally include providing room care, giving medications, measuring vital signs, maintaining patient records and collecting samples for lab testing. RN programs provide more in-depth courses in sciences and nursing practice and provide the theoretical knowledge, assessment skills, and the communications, management and leadership training to prepare these nurses for the roles they will be assuming as professional nurses. RN courses may include Nursing Theory, Informatics, Evidence-based Practice, Research Methodology, Leadership and Management in Healthcare Systems, Community Health and Contemporary Issues in Nursing. RNs supervise patient care plans, perform diagnostic tests and analyze results, administer medications, monitor recovery and progress, and educate patients and families. Because of their higher level of training and responsibilities, RNs typically earn more than LPNs, especially in entry level nursing positions. According to the U.S. Bureau of Labor Statistics, the average yearly salary in 2014 of RNs was $69,790 . The average annual salary for LPNs was $43,420 . The top ten percent of RNs earned more than $98,880, whereas this figure was $58,710 for LPNs. The rate of hire as well as salary levels for RNs and LPNs can vary greatly from state to state. According to the same BLS statistics noted above, the highest employment levels for RNs in 2014 occurred in California, Texas, New York, Florida and Pennsylvania. But these states showed disparate salary levels, showing averages of $98,400, $68,590, $77,110, $62,720 and $66,570, respectively. 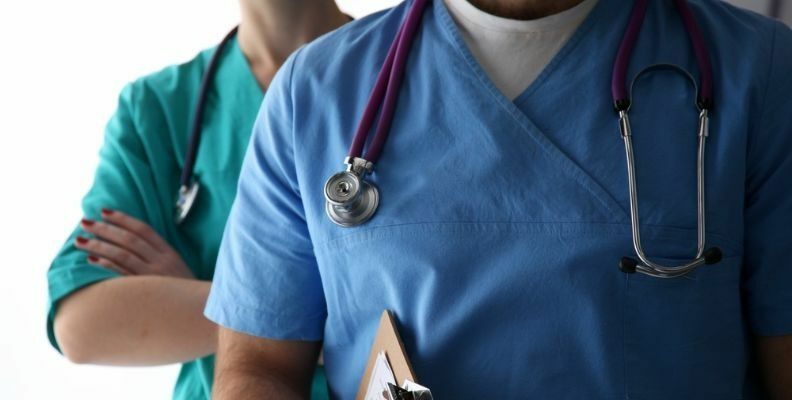 The LPN or LVN who aspires to a higher level of responsibility in nursing and a higher salary, can become an RN by completing an LPN to RN program offered by many community colleges and four year programs at colleges and universities. There are online LPN to RN programs also. Your decision of whether to upgrade your qualifications should be guided by your assessment of where you will experience the best utilization of your skills and energies and the satisfaction you gain or will gain from your responsibilities.